It has a tilting rear LCD preview screen. Download the Fujifilm X-S1 Manual. In this Impress review, you get a closer look at the camera body, and there’s a side-by-side photo of the X-S1 vs Canon 7D vs Sony A55. A sample full HD video clip (43.5MB/1920×1080/H.264/.mp4) and full-resolution photos in this Impress review. The night cityscape image isn’t too impressive with too many blown highlights and white discs but the rest of the pictures and the sample movie are pretty good. Official, full-resolution photo samples at Fujifilm Global. Additional Fujifilm NP-95 large-capacity, rechargeable Li-ion batteries. See Fujifilm X-S1 Battery Life. Replacement Fujifilm BC-65N battery charger. Charges the NP-95 in 210 minutes at +20°C (68°F). Fujifilm EF-20. A shoe mount (hot-shoe) clip-on flash, guide number: 20 (ISO 100), compatible with i-TTL, bounce capability: up to 90°, power source: 2 AA-size 1.5V batteries. Fujifilm EF-42. A shoe mount (hot-shoe) clip-on flash, guide number: up to 42 (ISO 100), auto zoom: 24-105mm (equivalent to 135 format), compatible with i-TTL, bounce capability: up to 90&deg, power source: 4 AA-size 1.5V batteries. 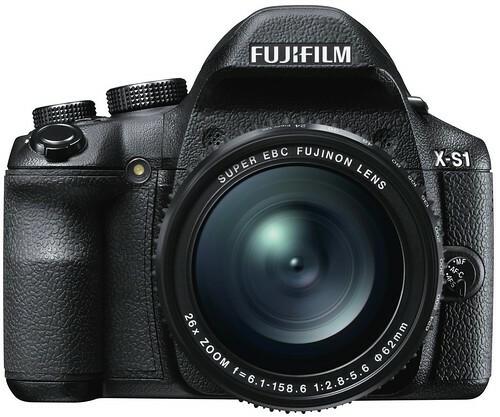 Fujifilm X-S1 microsite, and official page at Fujifilm USA and Fujifilm Global.